New Preamp in the brand new 2014 US made electro-acoustic Ubass! – Play UBass! New Preamp in the brand new 2014 US made electro-acoustic Ubass! 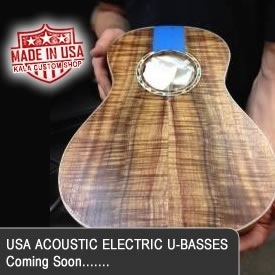 This year will see an updated preamp system – making a debut in the new US made electro-acoustic Ubass! Kala has teamed up with LR Baggs that have designed and built a new Ubass system (piezo and preamp) from the ground up especially for the UBass. Kala U-BASS amplification crafted by LR Baggs delivers a massive amount of power and versatility in a one of the most creative and inspiring basses you will ever play. 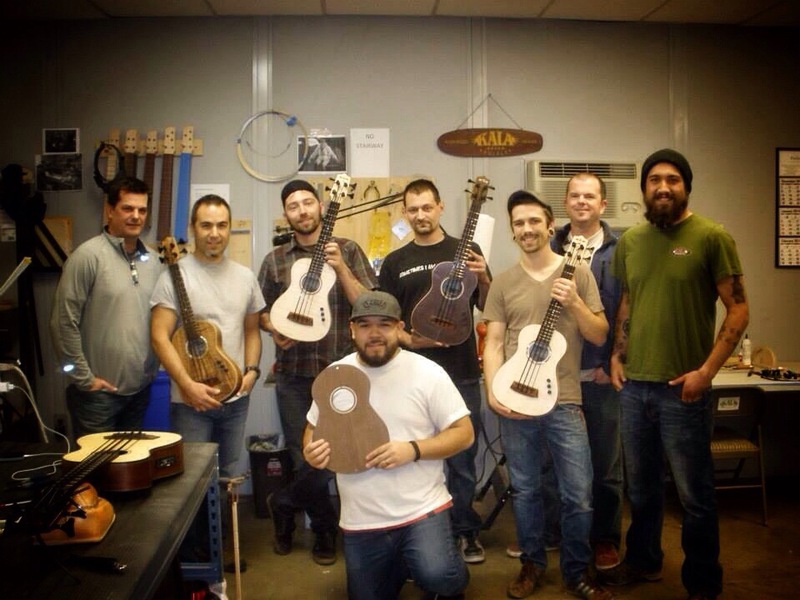 Kala and LR Baggs set out to create California made Electro-Acoustic models of U-Bass that provide world class amplification for professional musicians. The result is a jaw dropping, full-range bass response unexpected from the short scale, 21” instruments. Plug in and experience a stunning range of tone for any style and any environment. 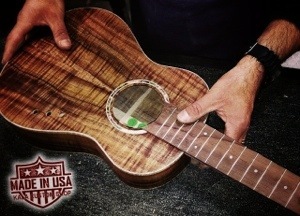 The LR Baggs award-winning Element pickup is engineered to capture each instruments most delicate vibration with a flexible film sensor thin as human hair. In contrast to other compression style transducers, the sensors flexible design tracks the motion of the top and saddle to unlock an unrivaled dynamic range. In addition, the pickup’s minimalist construction lessens any influence on the acoustic properties and creates an intimate coupling between the pickup and instrument for the highest fidelity possible. Kala and LR Baggs worked together from the ground up to design a system that would deliver uncompromising performance for musicians whose primary instrument is bass. This is not an acoustic system reapplied for a new class of acoustic instrument, rather a bass system that provides full-range amplification required for the most challenging conditions. The system features volume and highly responsive bass and presence controls that present endless possibilities ranging from the warm and smooth response of an upright to the punch and authority of an electric bass. This sure sounds amazing and I can’t wait to get my hands on one of these new UBasses and take it for a spin! Will be great to compare it to my trusty spruce fretless electro-acoustic that I have played for more than three years now! I will try to share more info when this new Ubass will be officially released. 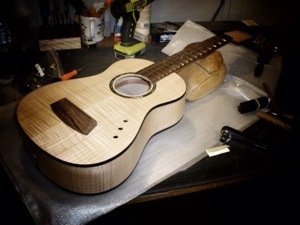 Would have loved to see it first hand at NAMM this week but I guess I have to wait a bit longer since I can’t make it to there this year…hopefully I can go there ”some-year-soon”! < First single out from my friend Mathias Lilja’s upcoming debut CD! I have had the same thoughts. Will try to find out why Kala came to this conclusion, why they opted for this arrangement of the controls when the most common way is to put the controls on the side of the body.